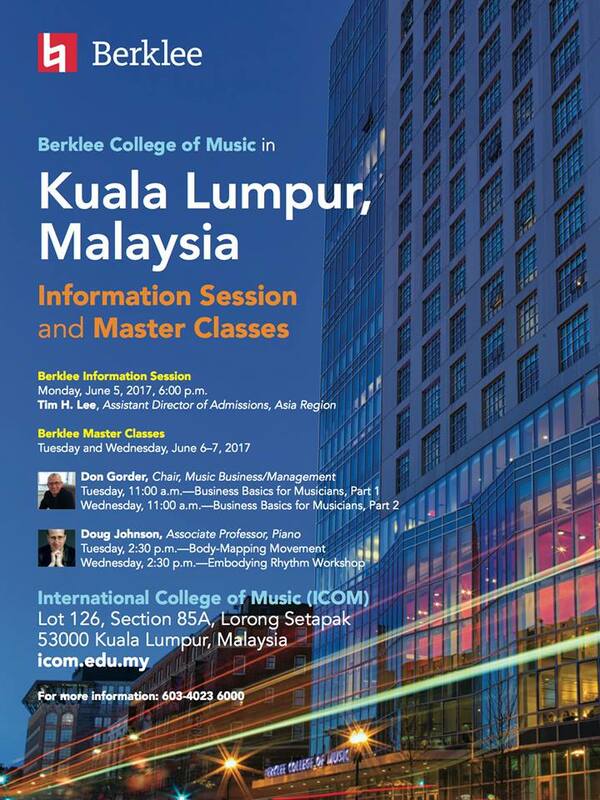 The International College of Music (ICOM) is a boutique music college in Malaysia located in Kuala Lumpur. ICOM is equipped with state-of-the-art facilities and hosts student from over 20 countries who bring with them outstanding musical talent, originality of expression and strong determination to succeed. ICOM’s programs are accredited by the Malaysian Qualification Agency (MQA) and include the foundation in music, diploma in music business, diploma in sound production and degree in music. ICOM Online teaches music courses fully online enabling students to learn from anywhere, anytime using a computer or a mobile device. ICOM’s educational partnership with the Berklee College of Music enables students who successful complete the foundation in music to transfer credits to any of Berklee’s 12 music degrees. Partnerships with the University of Wolverhampton and University of Hertfordshire also enable students to get an internationally recognized degree in Professional Music and in Music Business Management. As music business management is increasingly an important skill required by music business employers, specialist courses in entertainment law, artist and event management and music publishing are taught by leading music industry professionals who are also ICOM faculty members. From providing the best of music facilities, programs, partnerships, quality of students and faculty, ICOM is the best music college in Malaysia to study at. Please complete the form & send us your query & we'll get back to you promptly!